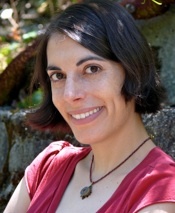 TANIA LOMBROZO is an assistant professor of psychology at the University of California, Berkeley, as well as an affiliate of the department of philosophy and a member of the Institute for Cognitive and Brain Sciences. She received her Ph.D. in psychology from Harvard University in 2006 after receiving a B.S. in Symbolic Systems and a B.A. in Philosophy from Stanford University.